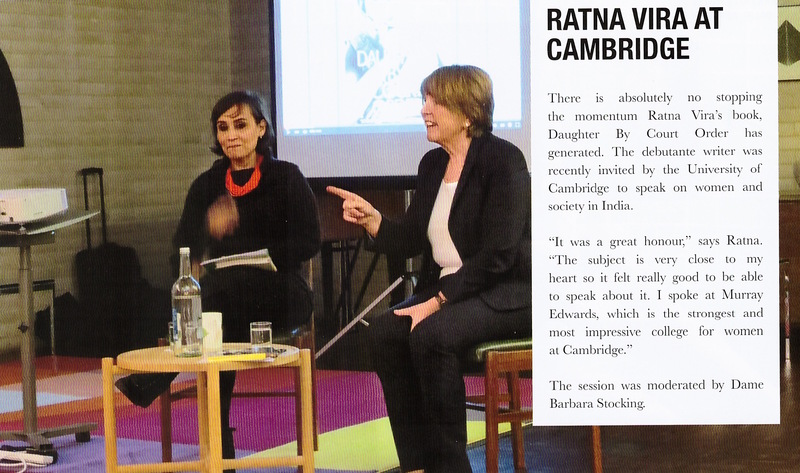 Murray Edwards College said: We were delighted to have Ratna Vira, the bestselling novelist of Daughter By Court Order, who gave a talk on the way women are shaping and changing India. 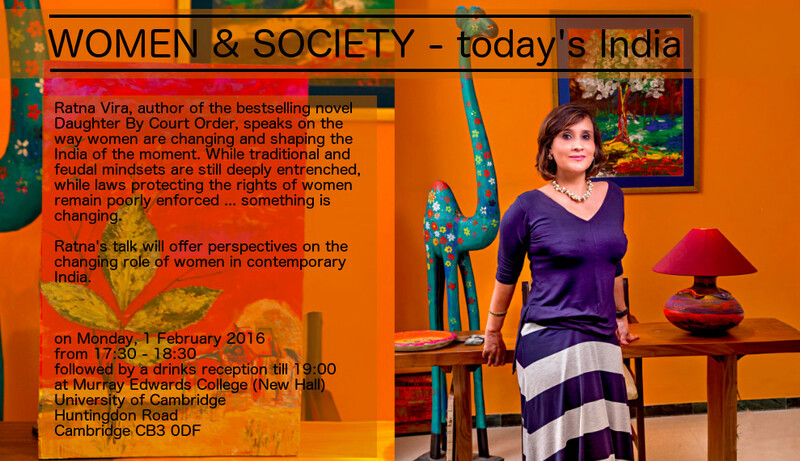 The session was moderated by Dame Barbara Stocking, President of the College. Dame Barbara was previously the highly regarded Chief Executive of Oxfam for over a decade.